Clifford & Rano Associates, Inc.
What Is a Closed-End Fund? Closed-end funds are similar to open-end mutual funds in that investors pool their money together to purchase a professionally managed portfolio of stocks and/or bonds. Both have dividends and capital gains that are distributed annually. In other ways, they are very different. For example, closed end funds are much less common than open end funds. Also, closed-end funds have more in common with stocks or exchange-traded funds (ETFs), but they are actively managed. Closed-end funds have an initial public offering (IPO) with a fixed number of shares to sell to investors. After that point, the investment company usually does not deal with the public directly, and investors who want to purchase shares must do so on a secondary market, such as the New York Stock Exchange. A closed-end fund’s investment portfolio is generally managed by a separate entity known as an “investment adviser,” that is registered with the Securities and Exchange Commission. If you are considering investing in a closed-end fund, there are some things to be aware of. Closed-end funds have broker trading fees and are considered riskier than open-ended mutual funds. They can invest in a greater amount of illiquid securities and can use leveraging methods usually avoided by mutual funds. Closed-end funds are generally not redeemable. The investment company does not have to buy back shares to fulfill investor demand. And closed-end funds charge management fees. Some people consider investing in closed-end funds because they are designed to provide a stream of income, often on a monthly or quarterly basis. 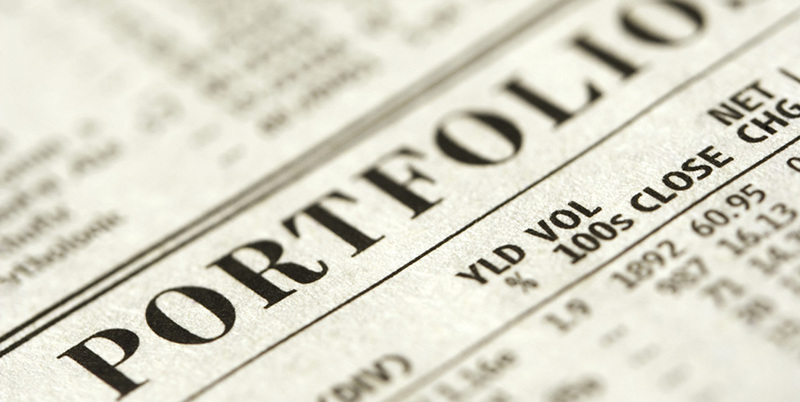 Closed-end funds also could provide an important diversification element to their portfolios. Diversification is a method to help manage investment risk, but it does not guarantee a profit or protect against investment loss. The value of closed-end fund and mutual fund shares fluctuate with market conditions. Shares, when sold or redeemed, may be worth more or less than their original cost. Clifford & Rano Associates Inc. and the above firms are independent, and not affiliated. Lincoln Investment, Capital Analysts, and its affiliates do not provide information or tax advice regarding taxes, estate planning, legal needs or social security claiming advice. Consult your attorney and/or tax adviser for any specific questions or concerns regarding these issues. All illustrations, assumptions and calculations are hypothetical only and are neither indicative nor a guarantee of future results. The accuracy of any hypothetical illustrations, assumptions or calculations is not guaranteed. The principal value of an investment will fluctuate so that an investor's shares, when sold, may be worth more or less than their original cost. Constant rates of return in any hypothetical illustration, assumption or calculation are unlikely, as actual rates may fluctuate. This site has been prepared solely for information purposes is not intended to be a solicitation, offer or sale of securities products or investment advisory services to anyone who resides outside of the United States. Lincoln Investment and Capital Analysts are registered as investment advisers with the U.S. Securities and Exchange Commission and Lincoln Investment is registered as a broker/dealer in all 50 states. Lincoln Investment, Capital Analysts and its Financial Representatives may only transact business in a particular state if first registered and only after complying with registration requirements. When you link to any of these websites provided here, you are leaving this site. We make no representation as to the completeness or accuracy of information provided at these sites. Nor are we liable for any direct or indirect technical or system issues or consequences arising out of your access to or use of these third-party sites. When you access one of these sites, you are leaving www.cliffordrano.com and assume total responsibility for your use of the sites you are visiting.